IC students hiked the Mayan archaeological sites Xunantunich and Caracol while on a cultural immersion in Belize. They learned about Mayan culture and traditions. Following a night of camping in a national park in western Belize, Susan Allen-Gil, professor in the Department of Environmental Studies and Science, and her students woke up to hike to the Offering Cave, where pieces of preserved pottery from the ancient Mayan civilization could be found. This is one of the numerous experiences that Ithaca College students had during the winter 2019 Belize immersion trip, where a group of 20 students spent two weeks in the Central American country to learn about different environmental issues the country faces and experience them on firsthand. The immersion trip is concurrent with “Belize’s Rainforests, Reefs and Ruins,” a special topics environmental studies course offered every fall semester by Allen-Gil. Allen-Gil said the class is in its eighth year and focuses on a variety of interdisciplinary issues present in Belize, like the different aspects of its tropical climate, how it increases biodiversity and the multiple threats ecosystems in Belize face. The immersion trip, which happens over two weeks in January, is a separate course that tests students’ knowledge and gives them an opportunity to experience what they were taught about in class. Some activities during the trip include walking through forests to identify species of plants discussed in class and visiting the Cockscomb Wildlife Sanctuary and Jaguar Preserve, which the students were first exposed to through class readings. Allen-Gil said she was inspired to create the course because she wanted to use it as an opportunity for students to be able to travel during their college career while also gaining a new perspective on the world around them. Junior Savanna Lenker first heard about Allen-Gil’s class and immersion trip through word–of–mouth by other environmental studies students who had taken the class before. She said she chose to take the class because she believes that it is important for college students like herself to learn about other cultures. In addition to visiting various forests and preserves across Belize, all 20 students in Allen-Gil’s class also participated in a homestay, where each student spent a few days living with a local family and helped them with everyday activities to experience how the people of Belize live. 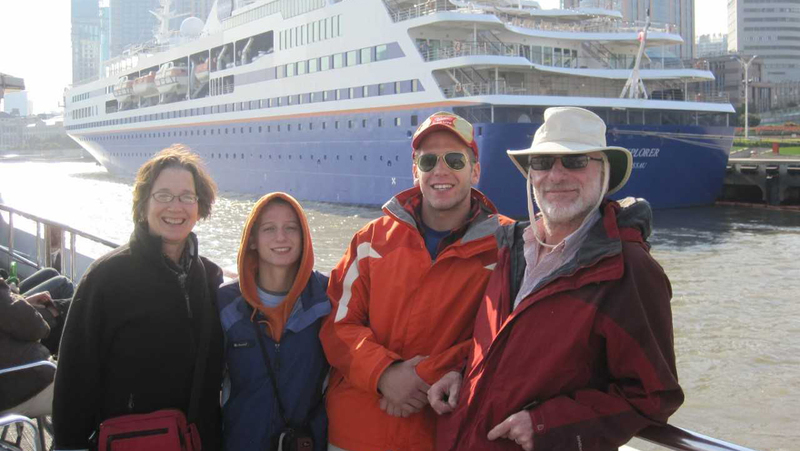 Junior Jon Lambert had previously been on a cruise to Belize. He did not take the fall course but decided to go on Allen-Gil’s immersion trip after she offered him a spot before winter break. He said that the homestay was his favorite part of the trip because it was able to give him a better understanding of the Belizean culture. Allen-Gil said that people should seriously consider taking this class because of its role in exposing students to different perspectives.